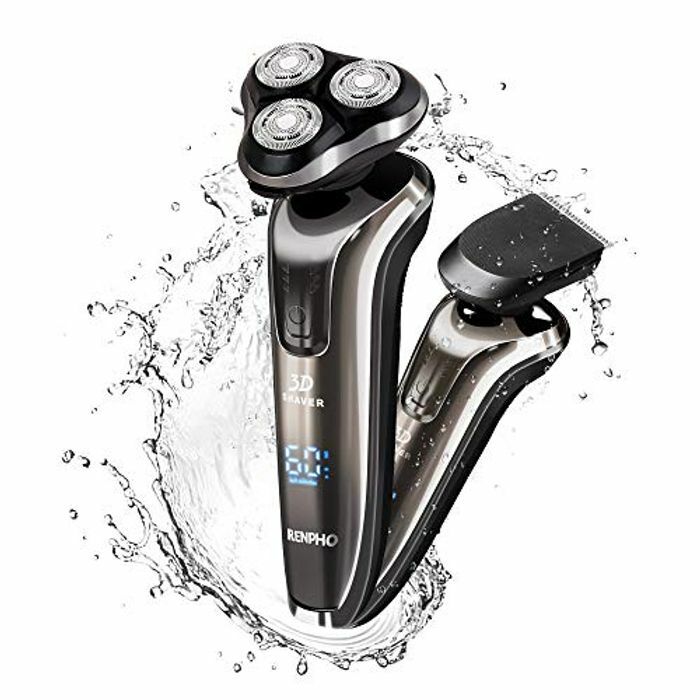 【Smooth & Close Shave】The rotary shaver 360 degrees close to the skin tightly, 3D rotary shaver follows every curve of your face and neck to give you an comfortable and efficient shave even on the neck and jaw line, give you a comfortable shaving experience. 【Wet & Dry Shaving】The whole body of the electric razor is IPX7 waterproof , suitable for wet and dry use, enjoy your dry shaving on the sofa and bed, or you can shave wet with gel or foam or even under the shower. 【LED Digital Display】The intelligent LED display could remind you about the shaver status, including charge indicator, shave time, and time remaining, electricity usage could be showed clearly and avoid to use in low battery. 【USB Quick Charge】1 hour full charge for 60 minutes shaving time. USB charging is quite convenient for your daily use and travel, charge it through your car charger, computer, power bank and other USB device. Great price. Thank you so much for sharing this.